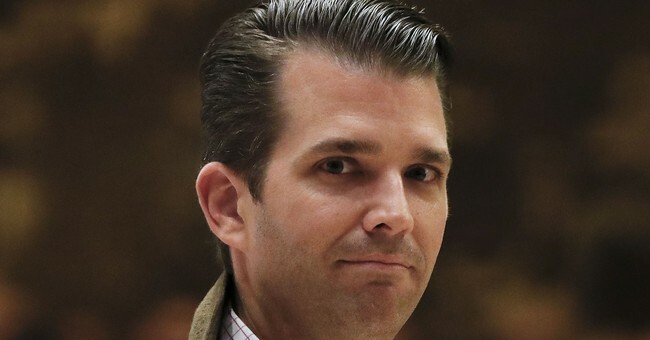 Donald Trump Jr. responded Wednesday to Sen. Kirsten Gillibrand’s (D-NY) vision of the future, pointing out that in her vision his sons wouldn’t have one. Trump Jr. asked Gillibrand when he should inform his sons that "there's no future for them." Many others on Twitter also took issue with Sen. Gillibrand’s vision. Sen. Marco Rubio (R-FL) said the future was “American,” not based on identity politics. Powered by actual power plants. Liberals push a gender neutral society while its leaders tweet the future is female. At minimum Democrats have a major messaging problem. "Powered in our belief in one another*"
* Except if you're Jewish, Christian, and/or a male of the species.